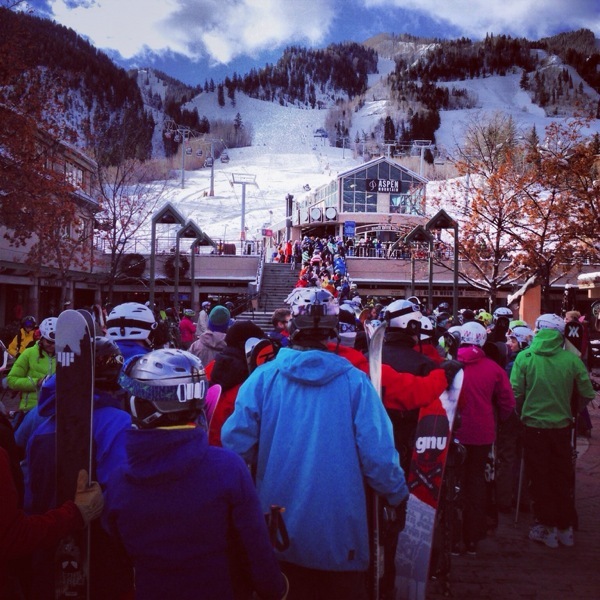 Ajax (Aspen Mountain) opened this past weekend with 10" of fresh powder with top to bottom runs open! You didn't want to wake up late, as everyone was out to get some fresh tracks. The line shows just how excited everyone was for the ski season! Happy shred season! Posted on November 19, 2013 by Kalle Edwards.